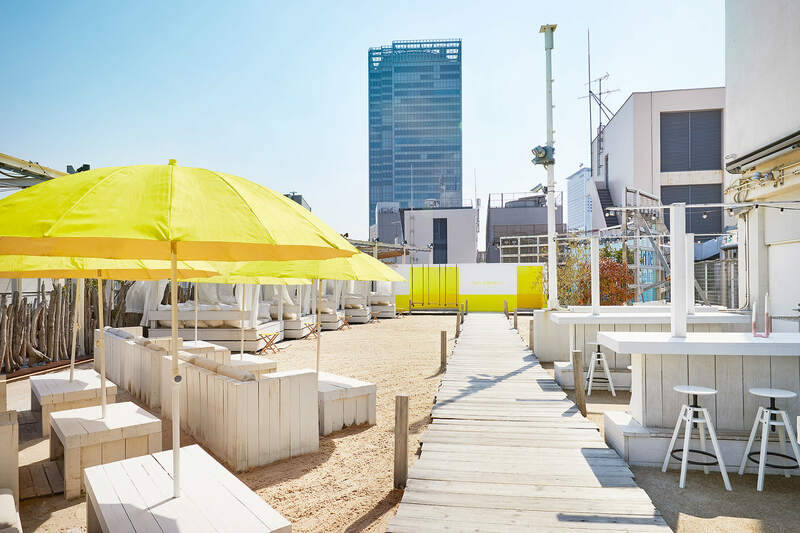 The rooftop of Lumine EST Shinjuku is opening the “WILD BEACH happy yellow beach” from Wednesday 20th March! The rooftop is approximately 1650m² and will be filled with approximately 15 tonnes of white sand. Free yourself and chill on the sofas, or get a group together and celebrate at a beach table ー there are so many different seating areas to choose from. As the rooftop is located at the heart of the city, this makes for the ultimate surreal beach resort experience! You can go all out and let your hair down or chill and laze around all on the same rooftop! The rooftop’s trendy atmosphere is created by “five shades of yellow”. The “beach cafe” has a chill sofa area, where you can switch off and relax surrounded by white sand. There is also the “barbeque terrace” where you can get a group together and have a ball. This area also has a collaboration with Corona and Budweiser beer. These are just two examples of the zones you can enjoy! There are many photogenic features on the rooftop including yellow parasols, wall features , a ball pool, hammocks, swings and much more! ♡ Friends, couples and large groups ー this area caters for a wide range of purposes! The menu has also been carefully planned. 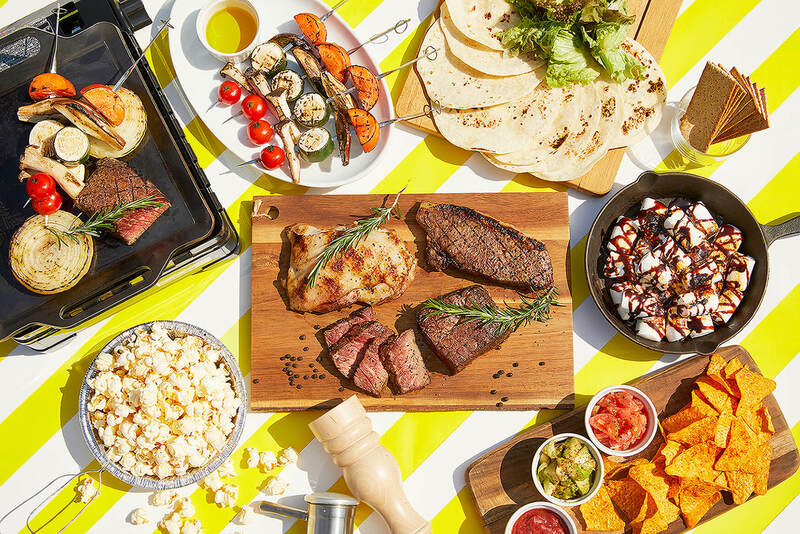 If you’re at a table partying with a group of friends, you could order barbeque food! You can enjoy a delicious vegetable barbeque that includes seven varieties of veggies and meat that you can roll up into a wrap. 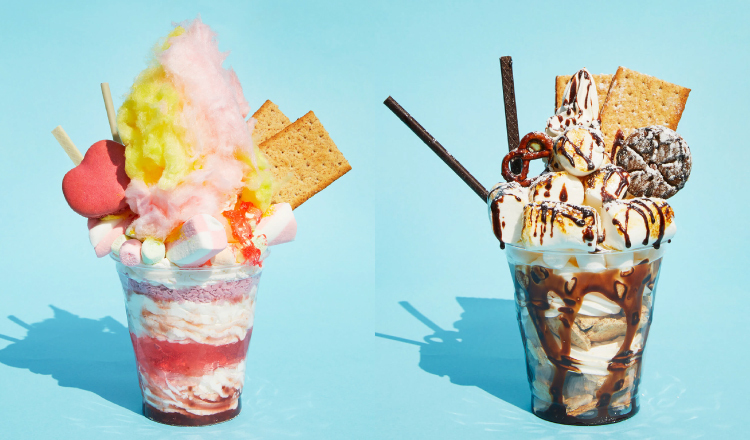 The menu also includes sweets and drinks that will make you feel happy just by looking at them! There is also a lemonade specialist shop on the rooftop that makes original lemonade! This is a beach resort that you can easily reach by train! How about enjoying an early summer?! Closed on rainy days and when Lumine EST is closed.